The decision of the DPP to press charges against 23 Jobstown protesters is a serious attack on both the AAA and the water charges movement in general. 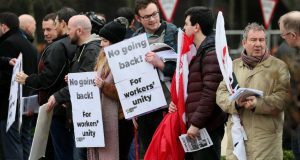 This coincides with the refusal by Garda to grant a permit to the AAA to collect money door to door in Tallaght – a blatant attempt to prevent the funding needed to organise a fightback of the working class. The state is prepared to throw the book at those challenging their vicious austerity while the architects of the crisis walk away scot-free. The Anti Austerity Alliance is under attack because the establishment see us as a real and serious threat to their agenda. It is in this context that the national conference of the AAA will take place on Sunday, 27 September. The need to discuss and plan about how we can continue to grow is very important. We also need to discuss how we can use the election to build an alternative to all the establishment parties that accept the logic of austerity and the capitalist market. This is the system that is breeding massive inequality in our society. The AAA has played a central role in the battle against water charges, advocating mass non-payment as the key weapon to defeat the charges. The 57% non-payment of the first bill is a resounding vindication of that position. The street meetings organised by the “We Won’t Pay campaign”, initiated by the AAA, attracted thousands in advance of the first bills dropping and gave communities the confidence to say no to Irish Water and the government. 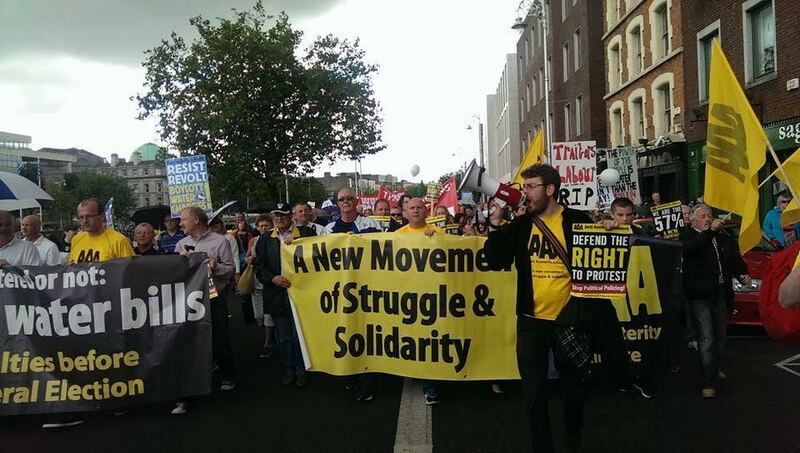 As well as building vibrant and active branches across the country, the AAA have used the positions of its TDs in the Dáil to provide a voice for working class people; hammering the government on the implementation of water charges, the spiralling homelessness crisis and the savage cuts to One Parent Family Payment. Ruth Coppinger TD has pushed issues such as intimate partner violence, cuts to much needed women’s refuges and tabled a bill to repeal the archaic 8th amendment calling for the right to safe and legal abortion. The influx of working class women into the AAA is an echo of the politicisation taking place amongst women nationally. With AAA activists taking part in the Abortion Pill Train last October, the desire to fight for equality and against oppression is interwoven with its political programme. The tremendous victory of the Marriage Equality Referendum in May, which saw the highest Yes votes in working class communities was not only a strong display of solidarity with the LGBTQ community but was evidence that ordinary people want social as well as economic change. The AAA not only highlighted the damage caused by homophobia but directly challenged the church and its oppressive role historically and today via its control of schools and hospitals throughout the referendum campaign. Following the referendum, AAA TDs moved a bill in the Dáil; the Employment Equality Act 2015 which called for the removal of the right of religious organisations to discriminate against employees sexuality. The Socialist Party helped initiate the AAA towards the end of 2014 and we want to build a new movement for working class people that challenges austerity and capitalism. There are important lessons that we can draw on from the recent events in Greece. 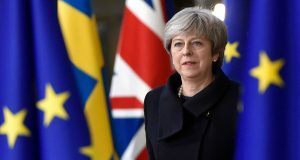 The unwillingness of the Syriza government to break the rules of the EU, the markets and capitalism meant they betrayed the aspirations of the Greek working class and signed up to a rotten deal that will see further austerity and privatisation being imposed. A new movement for the working class must fight for a left government that is willing to end the rule of the 1% i.e. the super-rich, big business and banks. Their wealth and resources must be brought into democratic public ownership and the economy must be democratically planned in order to cater for the needs of the 99%. The Socialist Party will be arguing for such a programme within the AAA. The need for a socialist alternative to this rotten system has never been greater. 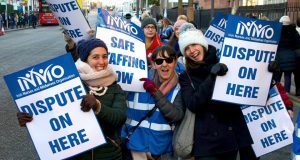 Government can buckle under pressure- Full Support For Nurses & Midwives!